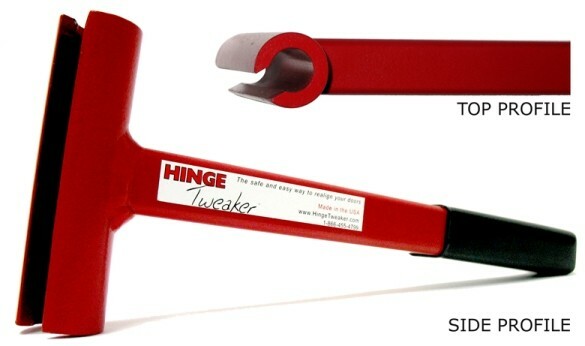 The Hinge Tweaker is therapy for your doors. 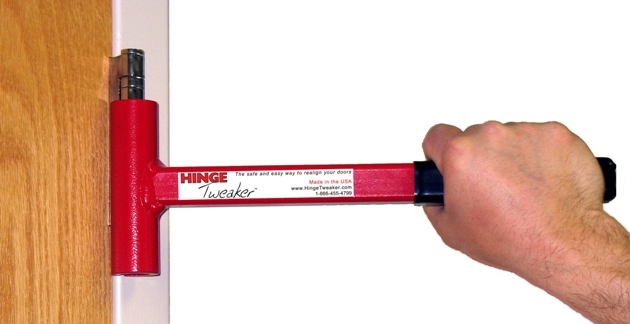 To be more precise, the Hinge Tweaker is designed to rebend standard weight .134 gauge hinges to enable the door to operate correctly. Utilize the Hinge Tweaker and give a lift to your sagging doors. Most frequent adjustments will be completed on the top door hinge. Why only the top hinge? Simply, the top door hinge realizes the greatest stress because it carries the majority of the door weight. Therefore, in standard door operating conditions the top hinge will bend and spread apart more than other hinges on the same door. The second most frequent hinge adjustment will be the middle hinge. On rare occasions you might also find a need to rebend the bottom hinge.